IMMUNOASSAY - METHOD USED IN ACCUMETH® BRAND INSTANT METH TEST KITS: An immunoassay is a biochemical test that measures the presence or concentration of a macromolecule in a solution through the use of an antibody. The macromolecule detected by the immunoassay is often referred to as an "analyte". Immunoassays come in many different formats and variations. Immunoassays may be run in multiple steps with reagents being added and washed away or separated at different point in the assay. The use of a calibrator is often employed in immunoassays. Calibrators are solutions that are known to contain the analyte in question and the concentration of that analyte is generally known. Comparison of an assay's response to a real sample against the assay's response produced by the calibrators makes it possible to interpret the signal strength in terms of the presence or concentration of analyte in the sampled. The difference between the LC/MS, GC/MS and immunoassay meth lab test results is the type of information (data) obtained. 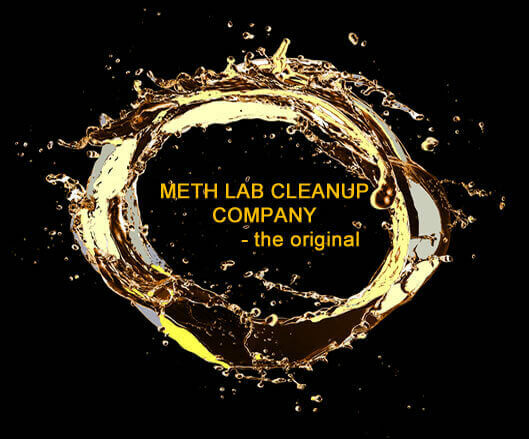 Meth Lab Cleanup's AccuMeth® immunoassay test is specific to detection levels at the most recognized legal standards for methamphetamine residue of 0.1 ug/100cm2 , 0.5 ug/100cm2 and 1.5 ug/100cm2. LIQUID CHROMOTOGRAPHY / MASS SPECTROMETRY (LC/MS) - METHOD USED IN METHASSURE® LABORATORY ANALYZED METH TEST: Liquid chromatography -mass spectrometry (LC/MS) is a chemistry technique that combines the physical separation capabilities of liquid chromatography with the mass analysis capabilities of mass spectrometry. LC/MS is a powerful technique used form any application which has very high sensitivity and selectivity. Generally its application is oriented towards the detection and potential identification of chemicals in the presence of other chemicals (in a complex mixture). Preparative LC/MS systems can be used for fast and mass directed purification of natural-products, extracts and new molecular entities important to environmental, food, pharmaceutical, agrochemical and other industries. LC/MS is the most common method of meth sample analysis. GAS CHROMOTOGRAPHY / MASS SPECTROMETRY (GC/MS) - ALTERNATE METHOD USED IN METHAMPHETAMINE LABORATORY ANALYSIS: Gas chromatography-mass spectrometry (GC/MS) is a method that combines the feature of gas-liquid chromatography and mass spectrometry to identify different substances within a test sampled. Application of GC/MS include drug detection, fire investigation, environmental analysis, explosives investigation and identification of unknown samples. Accredited laboratories are calibrated to quantify methamphetamine at a concentration of < 0.02 ug/100cm2.